Located on lovely Long Island, Babylon is a small town in Suffolk County with notable beachside areas like Fire Island, Captree Island, and Jones Beach Island. Just 30 miles from Manhattan, this pretty area of Long Island is also home to Adventureland with fun for the entire family. Gorgeous scenery and plenty of outdoor fun are always available to residents and visitors of Babylon. When a dental problem arises, Babylon has a large selection of holistic dentists that are standing by to care for your dental emergency. 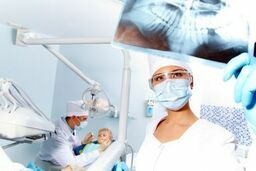 The Emergencydentistsusa.com website is your premier online source for great holistic dentists in Babylon. Just log onto our convenient website and scroll through the hand-selected list of Babylon holistic dentists. Click on the dental office that provides the services that you need or that accepts your dental insurance. The Emergencydentistsusa.com website provides you with the details that you need to make an excellent choice when it comes to selecting a holistic dentist. When you do not have access to the internet or just need a little more help picking out a new dentist, our 24-hour dentist finder hotline is always available to you. Just call the toll-free number and speak with a caring agent who can help you to choose the right dentist for your dental needs. Our agent can even set up your first dental appointment and offer you driving directions so that you can find the office easily. Remember to bring your dental insurance card and photo ID to your first dental visit. Arrive at least 15 minutes early to ensure that you have time to fill out the new patient paperwork and ask any questions that you might have about your dental care. The town of Babylon is a wonderful place for spending time with the family. Luckily there are also a variety of holistic dental offices standing by if you have an unexpected dental problem. Take a look at our top three Babylon holistic dentists located below. Description: Root canals, implants, white fillings, and the removal of mercury fillings are all services provided at Dr. Catera’s office. This boutique cosmetic dental office also offers restorative dental care to give you your brightest smile. A caring staff and a doctor who listens to your concerns make Dr. Catera’s office a favorite in Babylon. Description: Offering routine and deep dental cleaning, non-surgical gum treatments, and safe mercury-free fillings, Nature’s Dental is a true holistic dental office. Treating patients from children to adults, this office features a caring staff, state-of-the-art technology, and a kind dentist who truly listens. Convenient office hours make it simple to get that dental work completed quickly. Description: With over 35 years in the town of Babylon, Babylon Dental Care provides family dental services for children and adults. A large selection of great dentists make this office a great choice for anyone seeking a full-service office. Low-dose x-rays and mercury-free fillings are just a few of the holistic services provided at Babylon Dental Care. Choosing a holistic dentist means that you are taking control of your whole body health. From removing those old mercury fillings to ensuring that all of your dental x-rays are both low-dose radiation and digital, a holistic dentist provides services that are compatible with your body. You do not have to begin your dental journey from the beginning when you change your service from a standard general dentist to a holistic dentist. You are simply taking an active role in your health care by deciding which products are safest for your own physical health. When you choose a new dentist, it is important to ensure that he or she is properly licensed and credentialed to provide dental care in the state of New York. You can use the New York State Dental Association’s website to enter your dentist’s name and to view all of these documents. You can also visit your new dentist’s office and speak with the receptionist to view current licensing and credentials. Many dentists provide these items inside of their office.